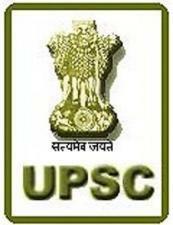 Union Public Service Commission invites Online Recruitment Applications (ORA) for various posts as mention below. Eligible candidates must apply online. All instructions are available at Official Notification. Other details are given below. Eligible candidates must apply only online mode through website http://www.upsconline.nic.in. For all instruction regarding application please refer Official Notification. If you are not satisfy with this job, then check more at ojas.guj.nic.in. sir me b.sc. With chemistry amnaj puru karyu 6e. To hu kai kai post mate apply kari saku? Sir ...I m a complete DEE & 8years exp.in company can I apply for this job ?...please sir replay..
Sir i completed be in mechanical.kai job mate gu spplied kari saku??? ?